Thanks to its gorgeous church, Kutná Hora is a perfect place to visit from Prague. Visit this beautiful conservation area listed in the UNESCO World Cultural Heritage List and its unique Ossuary. 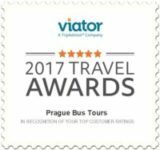 Set out to the historic town on an air-conditioned bus ‒ Kutná Hora is part of UNESCO’s cultural heritage. The late-gothic St. Barbara’s Church is a jewel of Kutná Hora. The church belongs among the most famous buildings of Kutná Hora and has always been a symbol of the town and the pride of its miners. During a private tour of Kutná Hora we recommend taking a guided walk around the town. We recommend finishing your tour of Kutná Hora by visiting the Ossuary. This Roman-Catholic Cemetery Church of All Saints is a two-storey building built in the 14th century. The local underground chapel is renowned for its very specific decoration made of human bones, of which there are more than 40,000.